A civilian transport vehicle capable of hauling up to 500 tons of cargo across oceans is in the early stages of development in Russia. The vehicle would fly just meters over the surface to utilize so-called ground effect for better fuel efficiency. 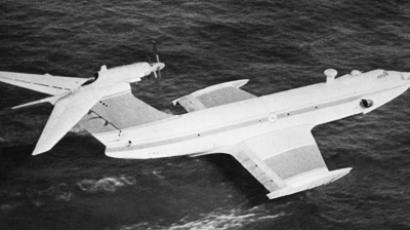 A ground-effect vehicle is a combination of a maritime vessel and an aircraft. It can only travel over a more or less smooth surface like the ground, water, or ice, flying several meters above it to produce more lift force and less drag than any fixed-wing aircraft generates close to the ground. This makes it more fuel efficient and allows it to make longer journeys. The Soviet military had several heavy GEVs built in the 1970s and 1980s, including the famous, but now-retired, Lun – a 243-ton anti-ship missile carrier. While the Navy was more interested in the ability of such vehicles to avoid radar detection, as well as their high speed, a leading Russian aviation research institution believes it can build a GEV capable of competing with freighter vessels and transport planes for a niche market. 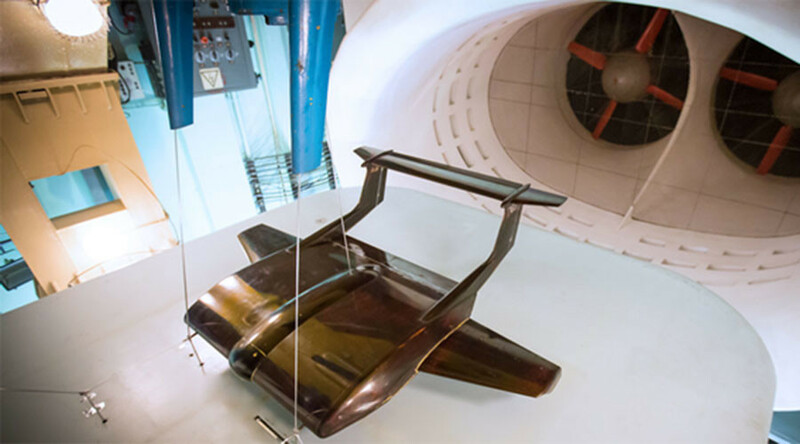 The design proposed by the Central Aerohydrodynamic Institute (TsAGI) in Zhukovski features a ‘flying wing’-style hull that doubles as a cargo hold capable of storing dozens of standard containers, it said in a statement. It also has two fixed wings and a tail to complete the airframe. The company said the transport GEV would not require special infrastructure to land and, where the terrain allows, could fly into the land rather than dock on the shore. It would be capable of carrying up to 500 tons of cargo at aircraft-range speeds traveling three to 12 meters (10 - 39 feet) above the surface. TsAGI’s design has four engines that would be fueled by LNG, a fuel that beats jet kerosene and other aviation fuels in terms of environmental impact, the statement said. The cryogenically liquefied gas would be stored in a massive tank behind the cockpit.